“…A director of thieves and murderers at sea”…. 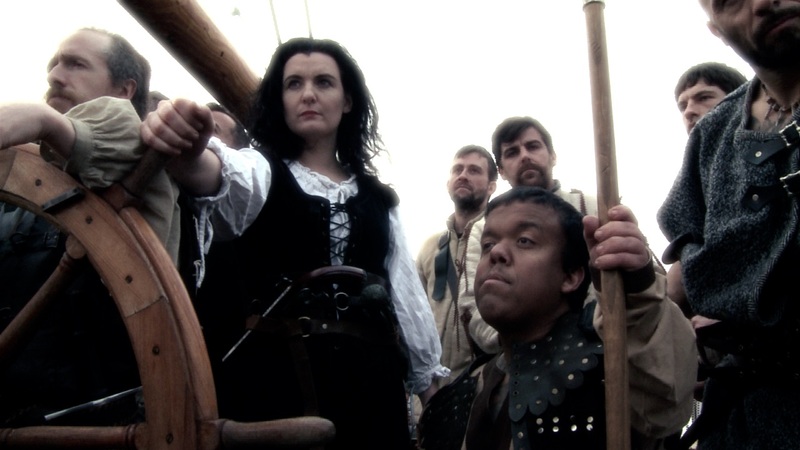 Grainne Uaile, also known as Grace O’ Malley, was accused of piracy and lived from 1530 – 1603. She inherited her father’s shipping company when he died and became a very wealthy woman. Legend has it that she cut off all her hair because her father refused to allow her to sail with him. He claimed her hair was too long and would get caught in the ropes of the ship. At this time, it was also considered bad luck to have a woman onboard at sea. Grainne’s drastic response earned her the nickname, “Grainne Mhaol” maol, meaning bald; the name stuck and eventually became “Graineuaile”. She was known for her battle prowess and cut throat fighting tactics at sea and also known by her nickname, “The Sea Queen of Connacht”. Grainne even met Queen Elizabeth I to petition for the release of her sons and her half brother. Grainne lived at a time when the Tudor Conquest of Ireland was underway and spent much of her life fighting English incursion into her lands. She married twice and bore four children, three sons and a daughter, however, Grainne was often accused of being promiscuous as she took a lover after the death of her second husband. She was known as a fearless leader and managed to fend off and English siege of her castle. She attacked many ships, fortresses and castles along the Irish coast. Her life has taken on mythological proportions in her native Ireland, becoming like a Renaissance version of Boudica. She is considered a heroic figure and has been immortalised in the works of Irish author, Anne Chambers. She has also been the inspiration for poems, ballads, featured in books like James Joyce’s Finnegans Wake and numerous theatre productions.